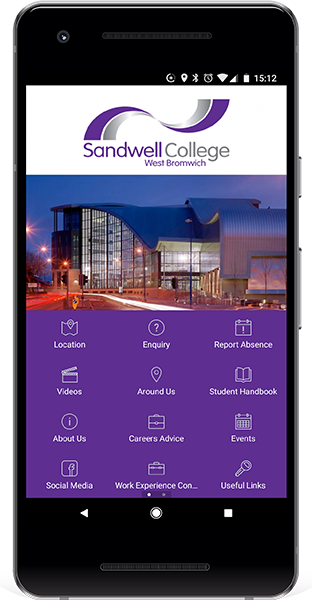 Designed and developed with your corporate brand in mind, the college recruitment app offers a wealth of features to keep students warm during their decision making process. Our unique offering also includes access to your own dashboard with a comprehensive content management system. Here you can check statistics, amend content, send push alerts and also add new features if you wish without any technical knowledge! Full support will be given. Find out more about how we can increase your colleges applications now. Designed and developed with your corporate brand in mind, the My college app offers a wealth of features to support students throughout their time at the college. Find out more about how we can enhance your learners journey now.